It has been a long hot summer and your hair is feeling the effects! 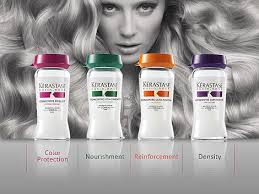 Why not get your hair back in the best condition it’s ever been in with a Kerastase Fusio Dose treatment. Your stylist will prescribe the right Fusio Dose for your hair and recommend the perfect partner take home care for your hair.